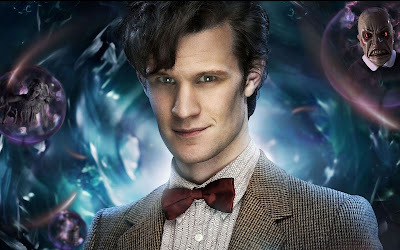 Yes it's true, Matt Smith has announced his departure from Doctor Who. He'll finish out the year, appearing in the 50th anniversary episode and regenerating in the Christmas special. In his stint as the Doctor there's no denying what he's brought to the role, and he's certainly played a part in the show's current success stateside. Personally I've felt his time as the doctor should have closed a year ago, but that has more to do with the decline in quality writing. For his part he's done wonders with what he's been given. Still, this isn't the right time for complaints, and it's not time to mourn another Doctor (that'll come December). Now is that fantastic time that comes around every so often to play a little fan casting. Who would you next like to see step out from the TARDIS? I don't watch the show so I can be really creative right?? How about Napoleon Dynamite!! Chuck - He'll defeat the Daleks with his nunchuck skills. Sad, but inevitable TS. I heard a good suggestion that Helena Bonham Carter should get the part. She's bonkers enough that she'd fit perfectly. I may be one of only a few humans to say this, but I tried watching this show a few times and I just don't get it... At all!